There is common ground among opposing sides as lawmakers tackle the issue of gun control, mental health and school safety. WASHINGTON – Opposing sides are finding common ground as lawmakers tackle the issue of gun control, mental health and school safety. Sen. Tim Kaine, a former Virginia governor and democrat, says there is enough agreement to take the first steps toward solutions that would make the U.S. a little safer in the wake of the school shooting in Newtown, Conn.
“We need to make improvements to our mental health system,” Kaine says. 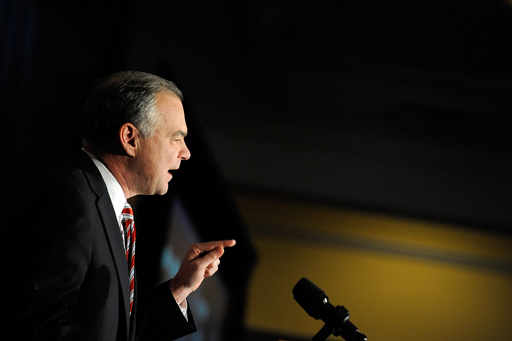 Kaine says a multi-pronged strategy is necessary to address all of the problems at work. There will always be groups like the NRA who will complain about restrictions, Kaine says it is time for those who recognize the gun violence problem that the nation faces to step up. The NRA will take the stance they’re going to take as a group, Kaine says. It’s a stance that he says is favorable for the interest of gun manufacturers more than gun owners. “Gun owners that I know — and I own a firearm — they understand that you can be strongly pro-Second Amendment but also put reasonable rules in place that will reduce gun violence,” he says. “It is also important that you don’t just look at guns,” Kaine says. Kaine’s experience as mayor and a member of the city council in lowering Richmond’s homicide rate is now relevant on the national level. While he hopes the nation will eventually be able to deal with the demand for guns, he says addressing that desire is not necessarily the best approach. In the aftermath of the Virginia Tech shooting in 2007, Virginia lawmakers realized that there was a glitch in Virginia law, he says. Because of poor record-keeping, people who were being adjudicated as mentally ill and dangerous and who therefore should have been barred from purchasing guns under existing law were able to buy them.